Forget Xbox and Star Wars toys. This year's hottest holiday seller could be the Star Shower. 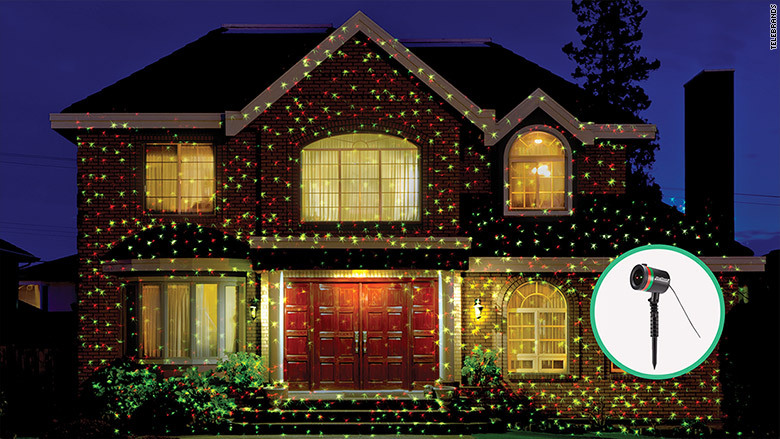 It's a small laser device you insert into your front yard and it projects thousands of tiny stars on your house. They look like Christmas lights. The gizmo, which costs $39.99, was invented by A.J. Khubani, founder and CEO of TeleBrands, which also created As Seen on TV infomercials. The Star Shower debuted as an As Seen on TV item in July. Khubani also tested it in 100 Bed, Bath & Beyond stores. "It was intended to be a holiday item," Khubani. "To our amazement, it sold extremely well in July. We knew we were on to something." The Star Shower also overtook the Colorama coloring books for grownups (which have sold 5 million so far) to become TeleBrands' best-selling item this year. Good luck finding a Star Shower now. It's sold out in most stores. "We just shipped our last 27,000 units to Wal-Mart," said Khubani. There are 6,000 Star Showers still available at TeleBrands' website Bulbhead.com. "Those should be all gone tomorrow," he said. Khubani said he even read reports of people stealing Star Showers off other people's yards. TeleBrands has made a mint with many a bizarre yet oddly useful products, many invented by Khubani himself. He created Doggy Steps, staircase for dogs, and Ped Egg, an egg-shaped foot file that's sold more than 45 million units. "I like to look for common problems to solve," he said. "Most people hate getting up on a ladder to put up Christmas lights outside the house. It's time-consuming, stressful and dangerous." You stake the device into the ground, turn it on, and it projects red and green stars that cover over 600 square feet. It has built-in heating and cooling system to wok in a range of temperatures, and an auto shutoff feature. Khubani said the product complies with FAA laser guidelines for consumer products. Its labeling warns users not to point it at the sky.